It wasn’t more than a few years ago that a small-displacement Adventure Bike with touring capability straight out of the box was considered a unicorn. Spurred by strong demand, today more and more manufacturers are coming out with simple, affordable and compact adventure motorcycles. 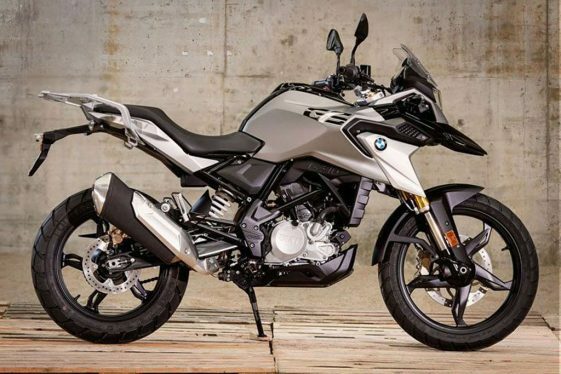 Following that trend BMW is now the latest to enter the XS ADV segment, adding the all-new G310GS to their lineup of GS models. First announced in November of 2016, the Baby GS was expected to arrive by mid-to-late 2017. But it took a little longer than expected to implement BMW’s stringent quality control at the production plant hosur India partnering with TVS. For many, this new model is likely to become the first experience with the BMW brand. So you can imagine getting it right the first time was imperative. 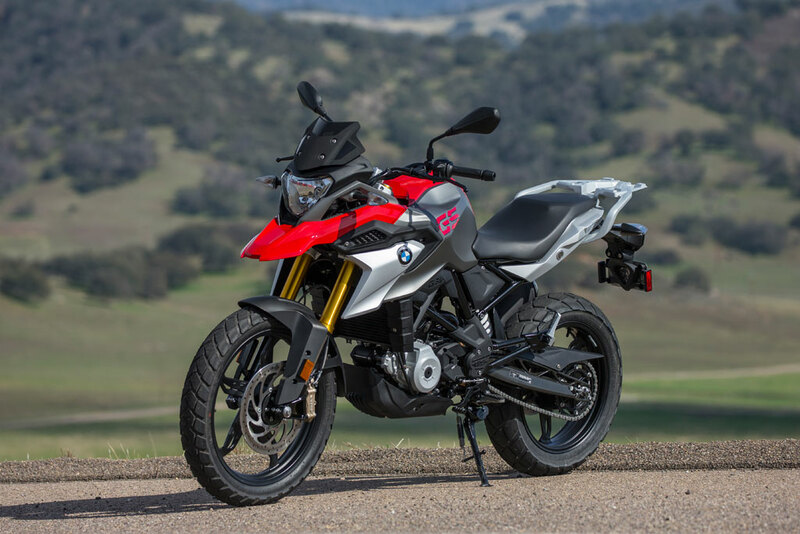 BMW is betting it’s going to be attractive to a wide range of motorcyclists, including returning riders, women, commuters, city dwellers and those just looking for a fun and affordable second bike. 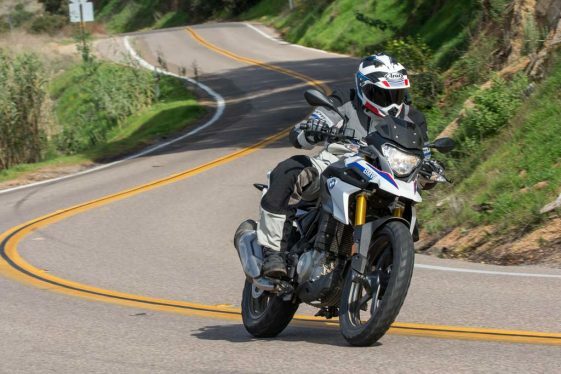 With the G310GS, BMW looks to attract a new generation of fans of the Bavarian marque. To reach their target, BMW kept control of the design, development and production processes, while taking advantage of lower manufacturing costs in India. According to BMW, you get the same premium fit and finish of their other GS models but in a simple, compact, lighter, and more-affordable package. 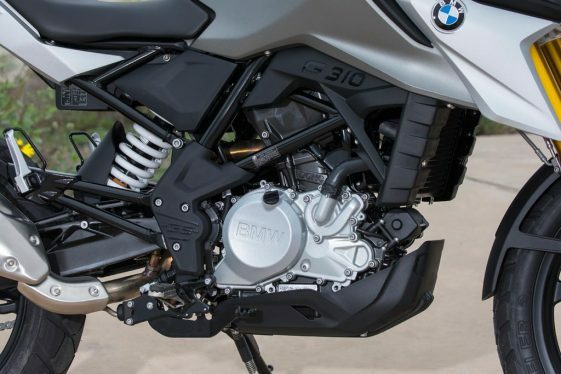 The BMW G310GS comes with a 313cc, liquid-cooled, DOHC single that pumps out 34 horsepower and 28 Nm torque @ 7500 rpm — not bad numbers for a small engine. Performance comes from an efficient EFI system and a cylinder head that is turned around backwards to allow cool air to enter and exit the engine in a more streamlined fashion. This configuration also allows for a longer swing arm length on its short 58″ wheelbase, providing more-balanced handling and improved stability. Additionally, BMW claims it lowers the center of gravity and gives a front wheel weight bias that improves responsiveness. A radial-mounted BYBRE front disc brake provides ample stopping force. BYBRE is a line of Brembo Brakes made in India. For the highway, the G310GS gets a counterbalanced engine and bar end weights to help reduce vibrations, along with a 6-speed transmission that gives it a good cruising speed. While a 11 L tank may not seem like a lot, its 30.3 kmpl fuel efficiency rating makes the bike capable of going well over 300 kilometers on a tank. There’s also enough electrical power on tap for a heated vest and electronic accessories with an alternator output of 308 Watts. Touring capability is further improved with a small windscreen, rear luggage rack and adjustable rear preload (using tools). 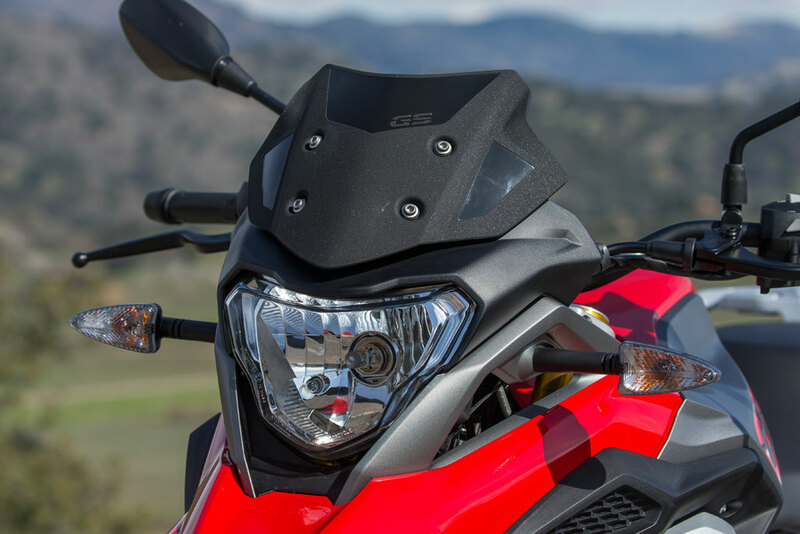 At a glance, the G310GS shares many of the same lines as its big brothers. Side panels, tank silhouette and beak all share a family resemblance to the iconic R1200GS, just miniaturized. Throwing a leg over the machine reveals a fairly low seat height that allows even someone 5’9″ tall to flat foot it at a stop light. In the twisties it feels a lot like you are riding a sport bike, which isn’t a surprise considering the bike is based on the G310R roadster. You can flick the bike around, change lines or pick it up in a turn with ease — the twistier the better for this backroad burner. 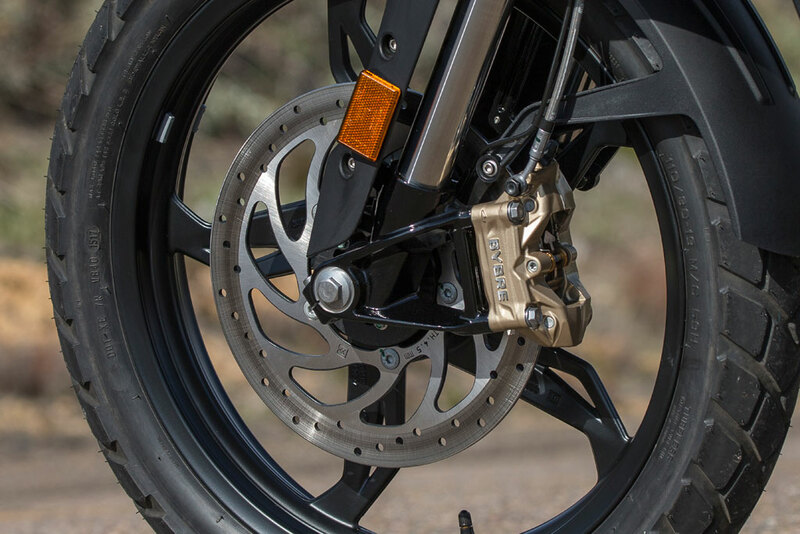 Braking power is also impressive from the radial-mounted front brake. 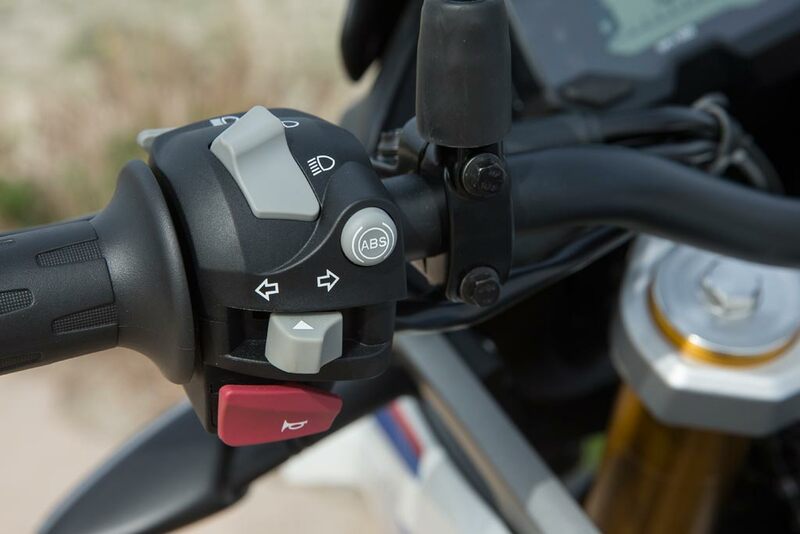 One finger is all you need for emergency stops with the aid of ABS, although there isn’t a lot of feel for subtle braking inputs. Vibration on the bike wasn’t bad on the highway as you might think but there’s no getting around the fact that this is a small-displacement single-cylinder motor. During a quick speed run the Beemer had no problem slotting into traffic and riding in the fast lane. But maintaining 80+ for any length of time does get tiring. The G310GS feels much better after slowing down where the RPMs and vibrations drop. The seat was also good for an entire day of riding, although there isn’t much room to move around in the tight seating quarter. We’ll have to see if it remains comfortable when we get it out on longer journeys. 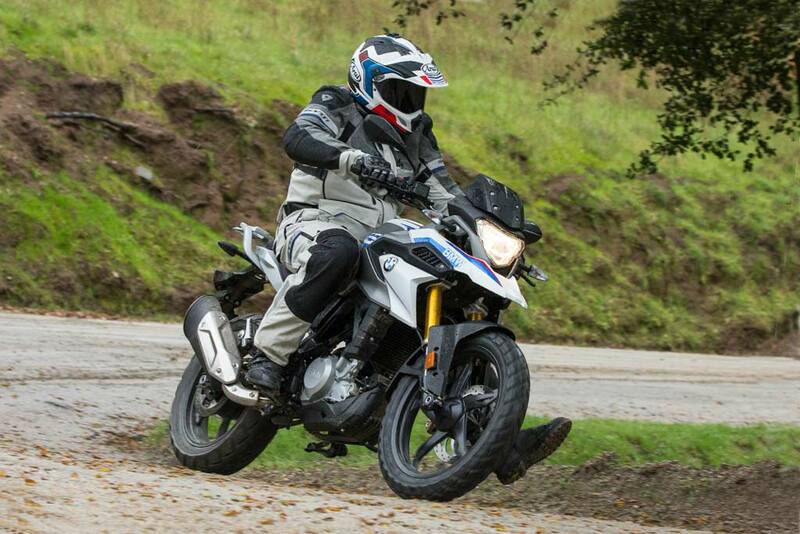 BMW is quick to say that riders should look at the 390 adventure or himalayan for serious off-road use. 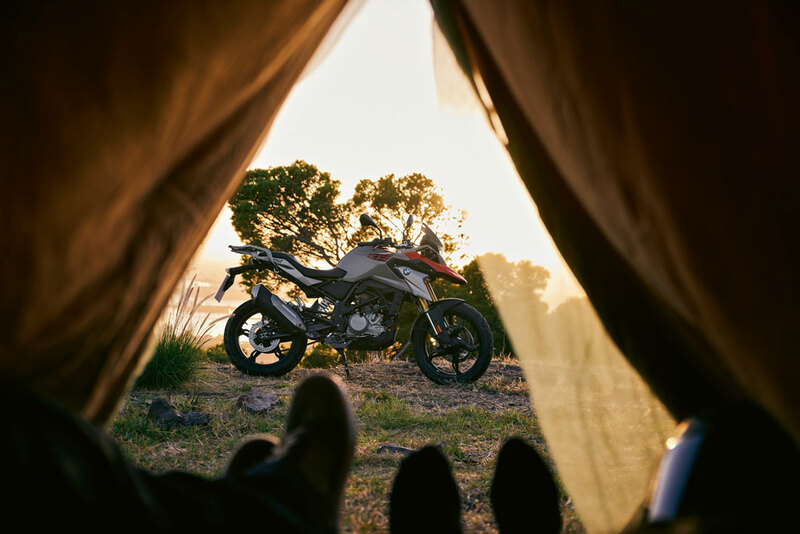 While the G310GS is lighter and has a lower seat height than those models, it doesn’t have as much suspension travel, wire-spoke wheels or protective components that you would want for more technical terrain. What you do get are a lightweight skid plate, serrated foot pegs with removable rubber inserts, and 80/20 Metzler Tourance dual sport tires. 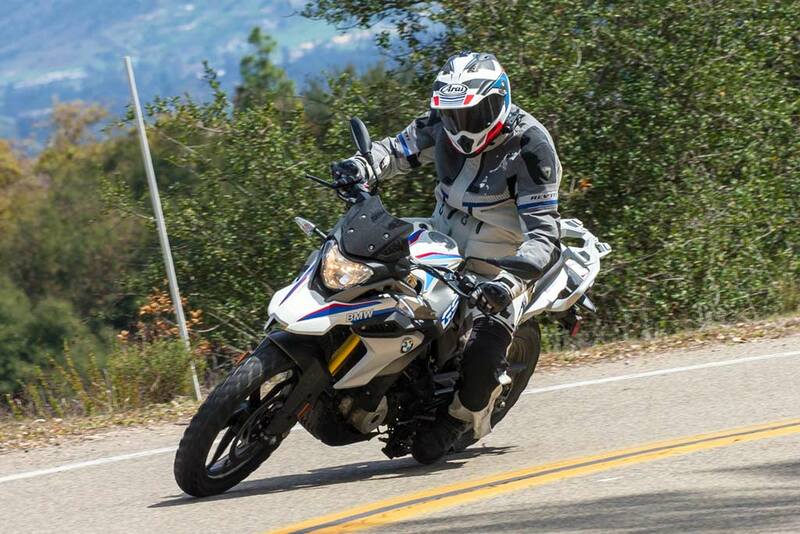 Riding the G310GS on smooth dirt roads was a lot of fun. With its short wheelbase and lighter weight, it was easy to control on the slimy wet dirt we traveled on. It’s very tractable and doesn’t easily break the rear tire loose in a power slide. The front-biased weight distribution and short tank length made it easier to feel what the front tire was doing. And when it did begin to slip, it recovered well. 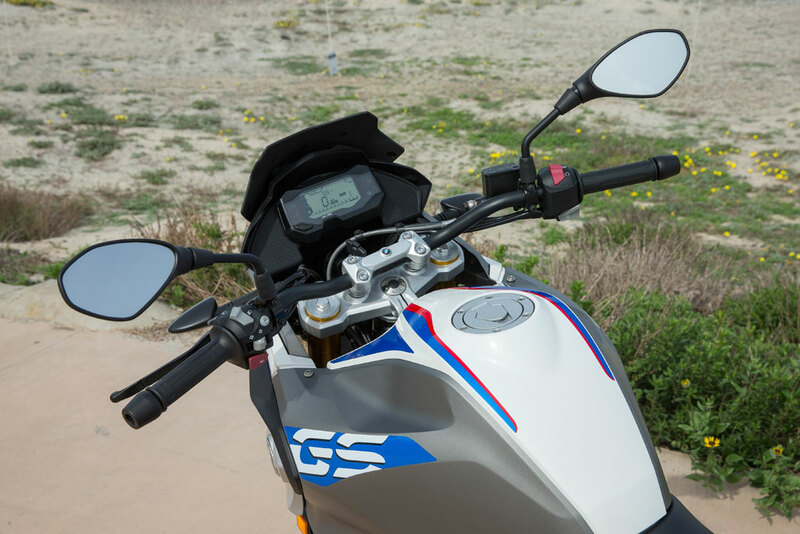 The forward-biased weight distribution of the G310GS gives the front wheel a more-planted feel on slick dirt roads. The stand up riding position is awkward, due to the bike’s low bar height and close distance between the knees and bars. The bars definitely need to be moved forward and higher for taller riders to get in a more-natural stand-up riding position. In addition, the removable rubber inserts also made balancing on wet pegs unnerving. Riding with ABS off-road was not a problem as the system works well in low traction conditions. In sandy dirt or loose gravel, it’s nice to have the option to switch it OFF though. Switching ABS ON or OFF. 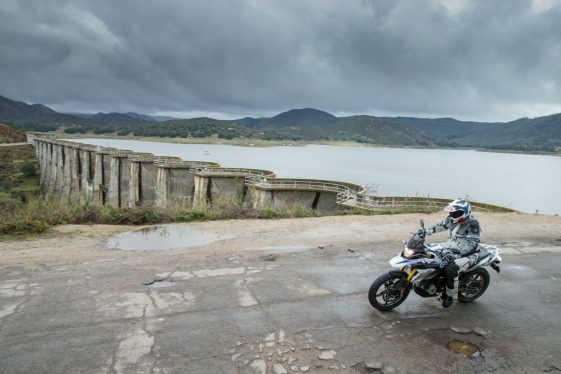 BMW has created a simple, affordable and fun adventure motorcycle that is easy to ride and easy to own. It’s capable of enabling some exciting adventures for those looking to dip their toes in the adventure riding lifestyle. And it’s also appealing to experienced adventure riders that want a more approachable, easier-to-manage GS. What you get for the price tag is well worth it but high expectations for performance, off-road capability and luxury have to be kept in check. However, there are already aftermarket companies developing products for those that want to extend the off-road and touring capabilities of the G310GS. I know the arguments that the KTM 390 duke make more power and is less expensive and all that But the BMW G 310 R comes together as a fun little motorcycle that is more than the sum of its parts. It also sets a new standard for product quality and I think we will all realise that three-four years down the line, these G310GS do not seem to age in quite the same way as their peers. At Rs.3.49 lakh ex-showroom, The G310GS is no doubt, expensive But I suspect that BMW is aiming for a discerning class of youngsters as well as oldies who want a world-class product and are willing to pay for it. The heft of the BMW brand and its perception will help the 310 R carry its high price tag too. I don’t think the ten dealers that BMW Motorrad India has, or will have shortly, will have any trouble selling these.